Book appointments in advance online! 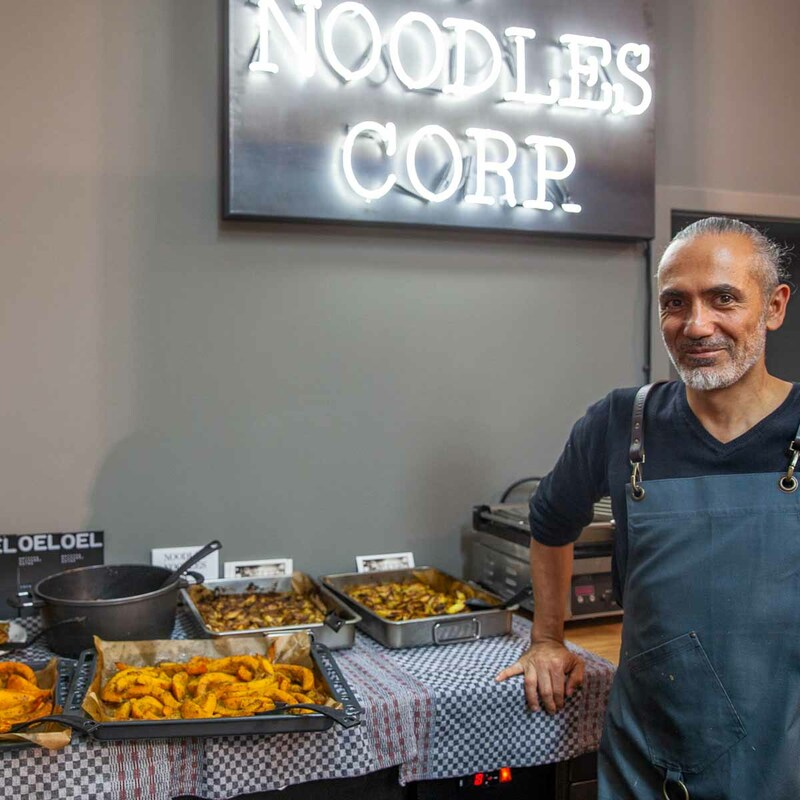 Founded in 1990, Noodles Noodles & Noodles Corp. was inspired by early 20th-century industrial design, with plenty of studs, steel and mesh. 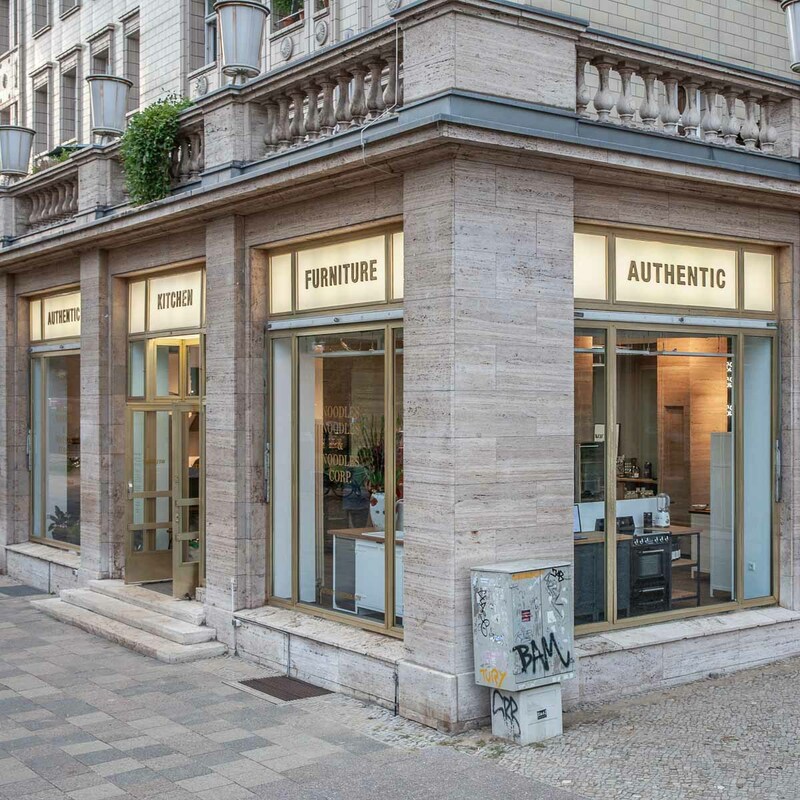 As early as 1993, the “Authentic Furniture” product line was created, of which many furniture pieces have found their place in the Noodles Berlin showroom on Schönhauser Allee 156. Meticulously made by hand in Poland, the furniture pieces continue to be made in the same way and in the same location by their successor. 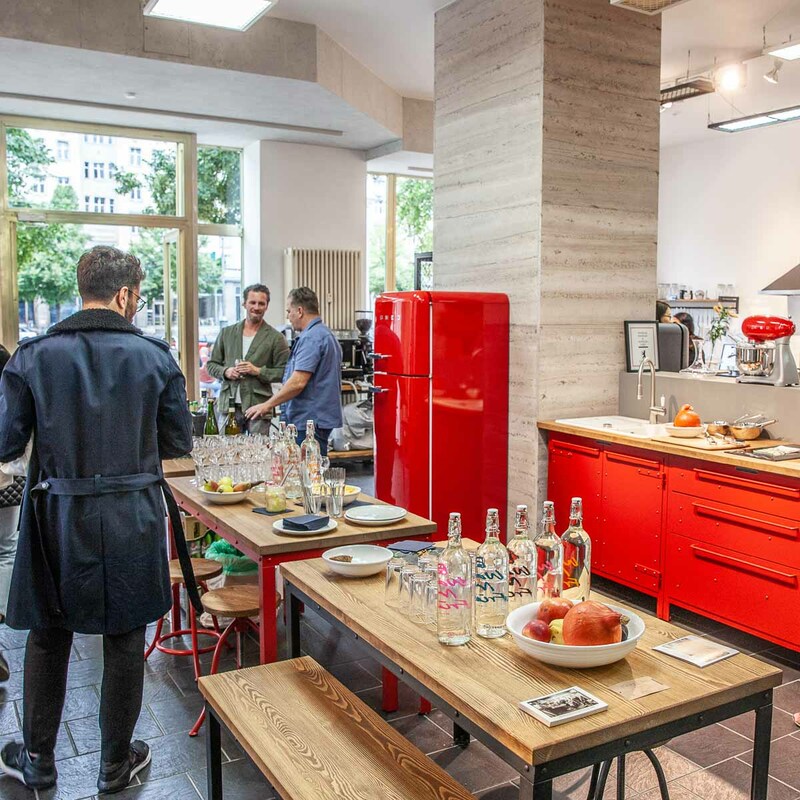 In 2016, the modular kitchen product line “Authentic Kitchen Furniture” followed, with all models presented in a very lively way in the highly presentable showroom on Karl-Marx-Allee since autumn of last year. 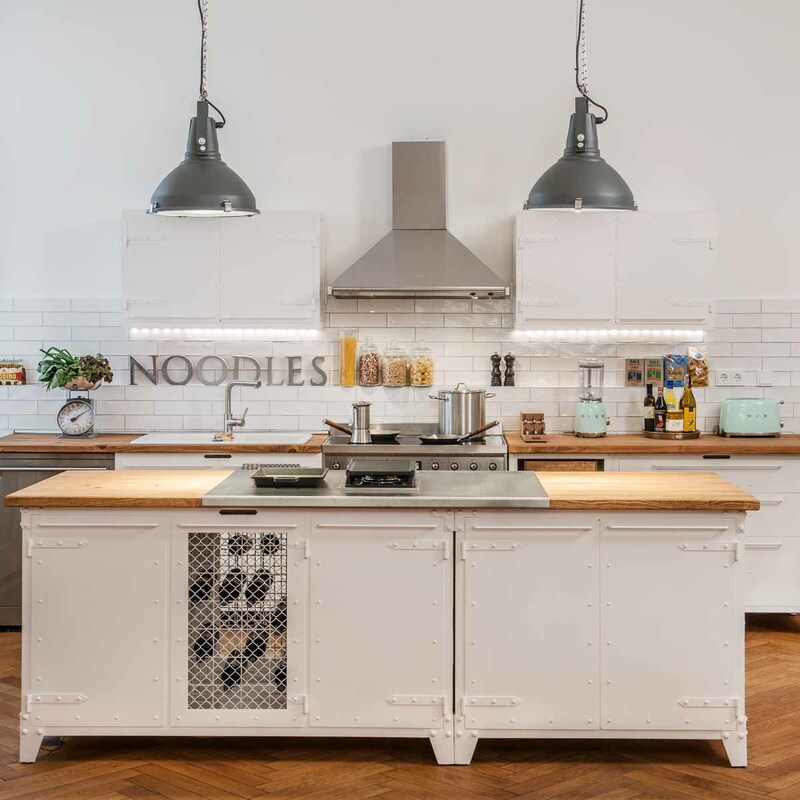 The kitchen modules are also manufactured in Poland out of high-end materials, and are made of darkened, matte finish stainless steel, which can be covered with a layer of white or coloured varnish and are extremely durable. 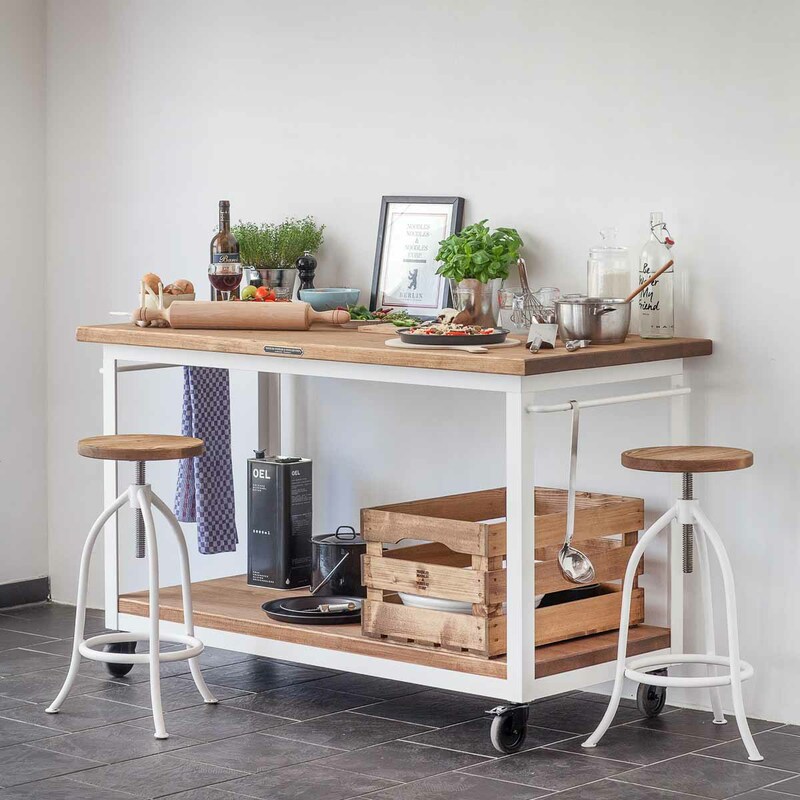 Individual furniture pieces for the kitchen can be easily recombined, and their pine wood tops from sustainable forestry give off a warm glow. 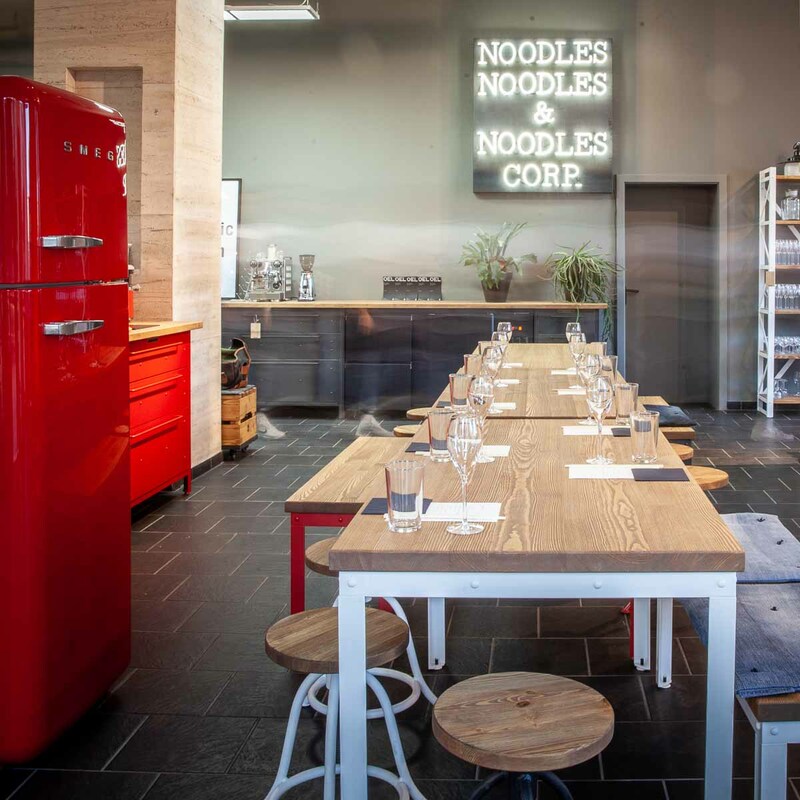 In combination with ceramic sinks from Villeroy & Boch and kitchen appliances from the Italian design firm SMEG, kitchens at Authentic Kitchen Showroom are individually planned and designed down to the finest details. If you’re keen to have a personal consultation, you should definitely book an appointment online >>.